Mr. Salman Faruqui, NI has rendered exemplary service to the people of Pakistan through his nearly 50 years dedicated public service and major initiatives in the fields of human rights and economic development. Mr. Faruqui, has taken oath as Wafaqi Mohtasib (Ombudsman) of Pakistan on 11th December, 2012. 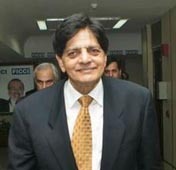 He is also serving as Secretary General to the President (with the status of Federal Minister) and has earlier served as Deputy Chairman Planning Commission of Pakistan, Ambassador-at-Large in the Ministry of Foreign Affairs, and Secretary General to the Government of Pakistan (elevated in 1993). He headed various Ministries in the Federal Government, including Ministry of Communications (including present Ministries of Ports & Shipping, Information Technology and Telecommunication and Postal Services), Ministry of Food, Agriculture, Livestock and Fisheries, Ministry of Environment and Urban Affairs, Ministry of Water and Power and Ministry of Local Government and Rural Development and Ministry of Commerce (including the present Ministry of Textile). He also headed Special Education and Social Welfare Division and served in the Ministry of Industries. Mr. Faruqui served as Secretary to Prime Minister Mohtrama Benazir Bhutto, and as Additional Secretary to Prime Minister Muhammad Khan Junejo. Mr. Faruqui served as Secretary to the Provincial Government for more than a decade, and also headed (as Chairman or/and Chief Executive Officer) several public enterprises including as the first Chairman/CEO of Pakistan Telecommunications Corporation Ltd., National Highways Authority, Pakistan Postal Services Corporation and Sindh Sugar Corporation, and as the first Director General of Special Education and Chairman of the Trust for the Disabled. He also served as Chairman of NESPAK, National Power Construction Corporation, PEPAC etc. He was one of the founders of Private Power and Infrastructure Board and Pakistan Software Export Board. Mr. Faruqui revolutionized telecommunication sector and introduced optic fiber, digital phones (through highly acclaimed BLT system) and mobile phones in Pakistan. He also initiated international direct dialing for all telephone subscribers. He initiated Peshawar to Karachi Indus Highway and implemented dualization of large sections of GT Road (N-5) and the first ever Motorway in Pakistan (M-2). In the Water & Power Sector, he initiated Ghazi Brotha project (the first hydel project after Tarbela Dam) and also implemented the renowned 1994 IPP policy which for the first time introduced private sector in power sector and eliminated outrages throughout Pakistan. In the field of Human Rights, Mr. Faruqui started scores of Model Special Education Centres throughout the country for all disabilities. He successfully implemented ban on human plied cycle rickshaws throughout the country. He also launched the experimental green channel system at Karachi Airport and initiated schemes of Dry Ports and Export Processing Zones. Mr. Faruqui also completed mini Port at Gwadar and initiated scheme for deep seaport project there. He introduced private sector in the Ports and Shipping sectors and added Terminals for Container Traffic at both the Ports in Karachi and initiated and completed exclusive Oil and Export Terminals. In the field of Economic Development, he was a key member of the government?s economic teams for a decade during which he contributed substantially towards sustainable economic development. 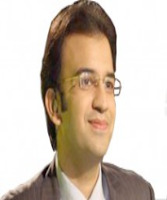 Mr. Faruqui has a law degree and a postgraduate degree in Political Science and International Relations. He also has a postgraduate degree in Public Administration from the University of Southern California. He is member of Board of Governor, International Islamic University, Islamabad. He is also Member of the Syndicate Sindh Madressatul Islam University. He is a member of the Syndicate of Quaid-e-Azam University in Islamabad, and earlier served as a member of the University of Karachi Syndicate. The Government of Pakistan has conferred the highest award of Nishan-i-Imtiaz for Mr. Faruquis lifelong dedication and selfless devotion in Public Service.